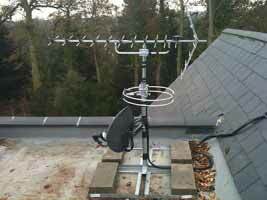 Arbroath Aerials LTD Install, upgrade and repair Television aerials and satellite dishes. 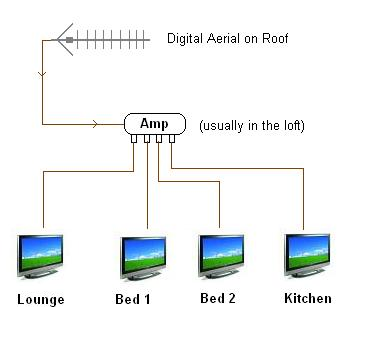 We work on single TV point installations and more complex multi point IRS (integrated reception system) which incorporates signals from multiple sources normally terrestrial aerial, satellite and radio aerial and sending the signals to multiple outlets. 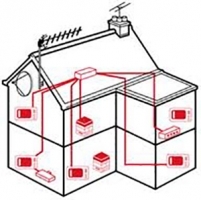 MATV (master antenna television) and SMATV (satellite master antenna television) is similar but designated TV stations can be fed into the system like CCTV or an advertising channel and several designated sky channels. 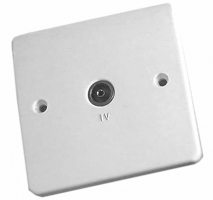 These systems are commonly used in hotels or holiday parks. Sky distributed to multiple rooms. Discreet cabling and wall cavity work. 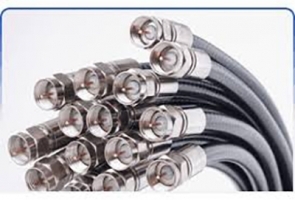 Cable routes discussed and installed the way you want. 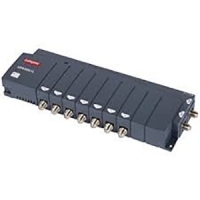 Points installed to correct signal strength. Brilliant service. Would definitely recommend them. Reliable, phoned to say they were on there way, did the job I asked. Polite and welcoming. Excellent service…came to hang a TV, sorted out other tech issues.